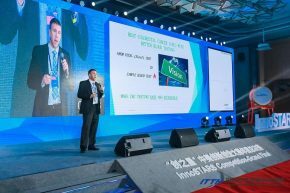 It was back to China last week for Eric Mayer, Chief Executive Officer of EDP BioTech Corporation. 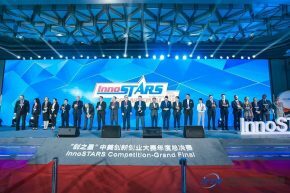 The trip was to participate in the finals of the “InnoSTARS Competition” held in Suzhou, China. As noted in this teknovation.biz article from June, the Knoxville-based biotech company took third place in the “Semi-Final for Biomedicine & Medical Device Group” competition. Unfortunately, Mayer did not bring home the top prize on his latest trip. Top prize went to PharmaJet, a Golden, CO company founded 13 years ago with a needleless syringe for vaccinations. It already has secured U.S. Food and Drug Administration approval. “They’re big time,” Mayer said of PharmaJet. EDP BioTech was founded by Tom Boyd and is focused on early detection for the possibility of colon cancer, especially in high-risk populations. Its geographic target has been and continues to be the European Union where 24 countries either have implemented or are in the process of implementing compulsory screening for colon cancer. That said, Mayer saw several benefits from the trips to and competitions in China. For the finals, each company was allocated seven minutes to pitch followed by three minutes of questions from the judges. EDP BioTech was one of two Knoxville companies participating in this year’s “InnoSTARS” competitions. The other was DigiTrax Entertainment Inc. that pitched in an earlier event as noted here. Here are some pictures from the finals: Mayer pitching (immediately below) and all of the finalists (second picture).